Steam - a Memory of Barking. I remember the old Barking Station and loving the smell of the steam trains; standing on the bridge and watching the train from (Tilbury or Southend?) disappearing in a cloud of steam. Wonderful. Old Barking station was all Victorian cast steel pillars with elaborate decoration and dark wood if I remember rightly and an enormous clock, which is in the National Railway Museum in York. 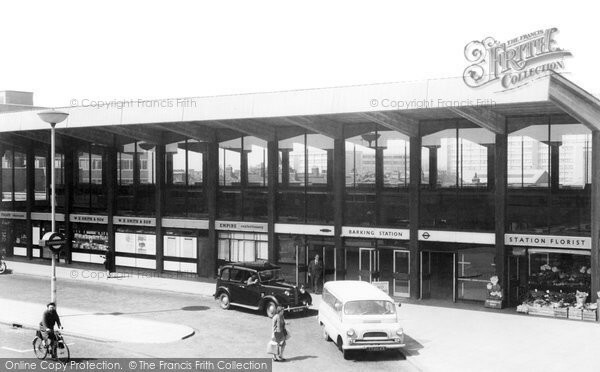 The new station was state of the art when it was opened by the Queen but I still miss the old one and the steam trains. A memory shared by Susan Mitchell on Jul 28th, 2012. Send Susan Mitchell a message.